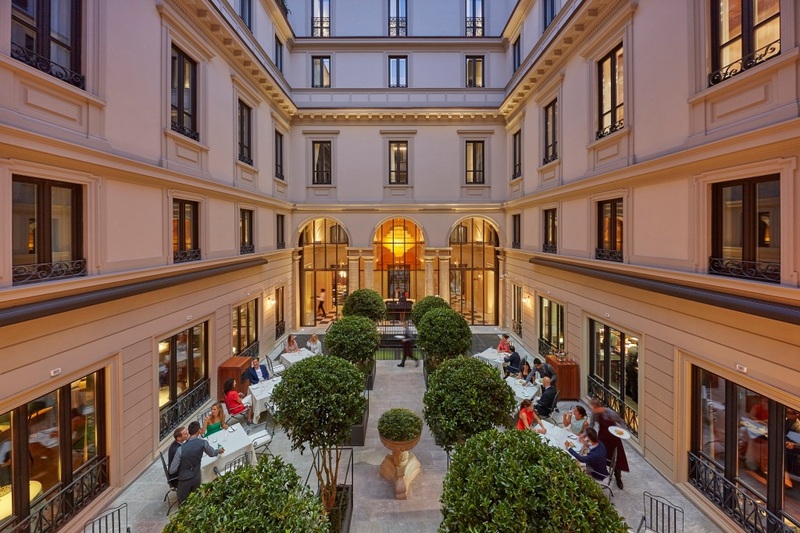 Mandarin Oriental, Milan’s restaurant and bar serve dishes created by the hotel’s multiple award-winning Executive Chef Antonio Guida and his team with Federico Dell’Omarino as Executive Sous Chef and Nicola Di Lena as Executive Pastry Chef. 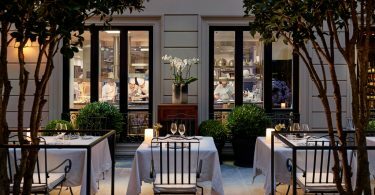 The hotel’s two Michelin-starred Seta restaurant offers fine dining, while Mandarin Bar & Bistrot has two menus and serves more casual dishes all day, from breakfast to ‘aperitivo’ and after dinner. 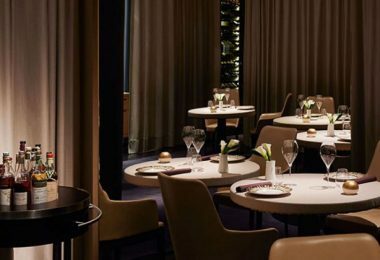 Open from 8am to late, Mandarin Bar & Bistrot is the hotel’s beating heart where the atmosphere evolves gradually from tranquil urban oasis by day to vibrant nightspot after dark. Its outdoor spaces feature lounge sofas, coffee tables and soft lights, while indoors the walls are covered with black and white geometric mosaic patterns, which create stunning lighting effects together with glassware, smoked ceiling mirrors and other reflective surfaces. The careful positioning of sofas, armchairs, tables and stools around the cocktail bar makes for a cosy and varied environment that invites socializing and enhances the range of dining experiences on offer. 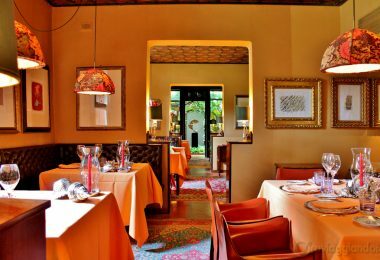 Mandarin Bar & Bistrot’s bistro menu is available for lunch and dinner and features a selection of first and second courses, starters and side dishes, and a “hotel classics” section. 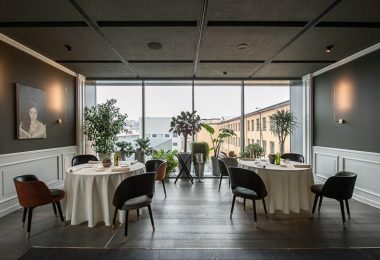 In creating the menu, the chef had one simple culinary idea: prepare dishes with Italian roots using high quality ingredients, creatively matching different flavours for a contemporary twist. 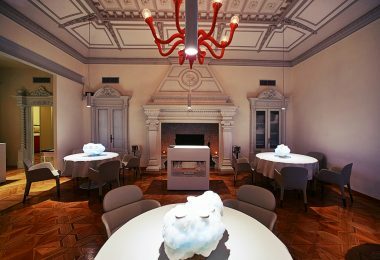 Pastry chef, Nicola Di Lena’s patisserie pays homage to Italian “Alta Pasticceria”. 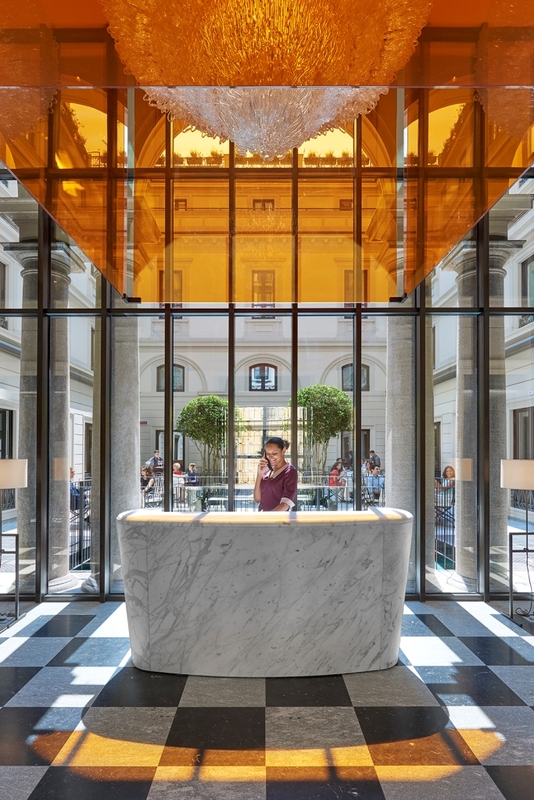 A dessert tray made of bronze and designed by Antonio Citterio displays the chef’s tempting sweets, creating a mouth-watering “vetrina dei desideri” effect. 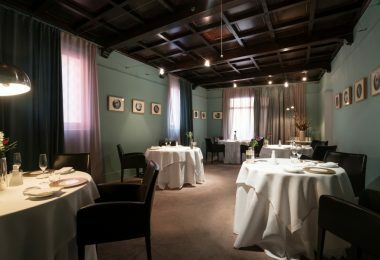 The all-day dining menu offers a range of innovative dishes, such as “focaccia with burrata and lobster”, and hotel classics gently refined with a creative touch, like beef burger with blue cheese and mustard. 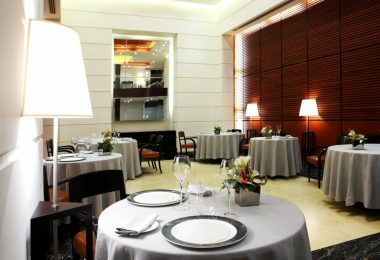 Guests and visitors can tickle their gourmet taste buds at any time of the day from this menu. 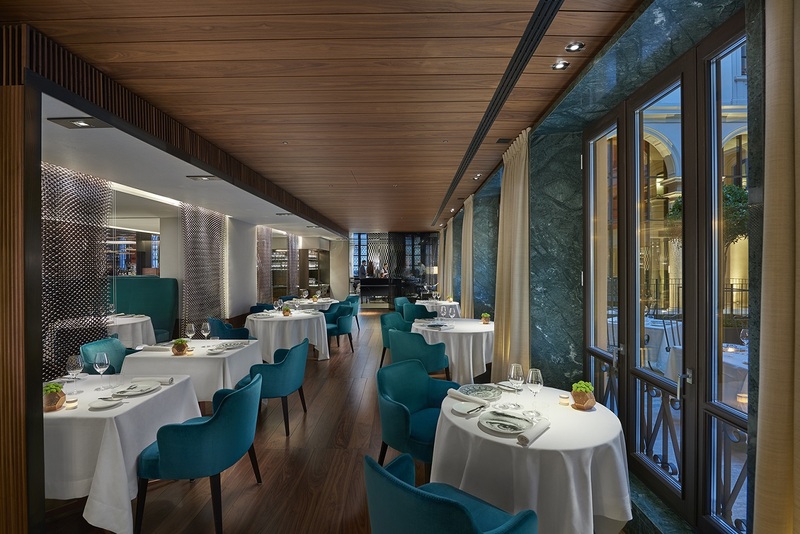 Evenings at Mandarin Bar & Bistrot are marked by two key moments, ‘Aperitivo’ and ‘after dinner’. At 6.30pm, the scene is set when lights are dimmed, lounge music starts to play and expert mixologists prepare to give that evening’s bottle juggling show. 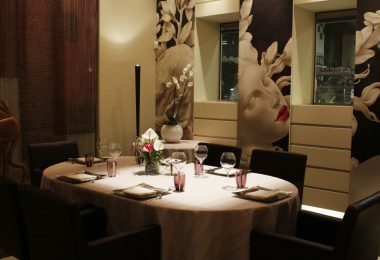 Full of oriental touches and other twists on the classics, the cocktail menu offers a selection of Mediterranean and exotic flavours, and is topped off with ad hoc creations. 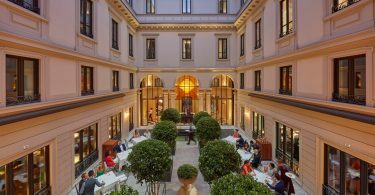 For aperitivo, drinks are accompanied by a contemporary, gourmet version of the traditional Milanese appetiser selection. 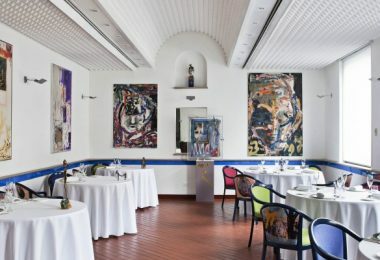 Four creatively prepared dishes are served on a slate, and each drink comes with a fresh slate. 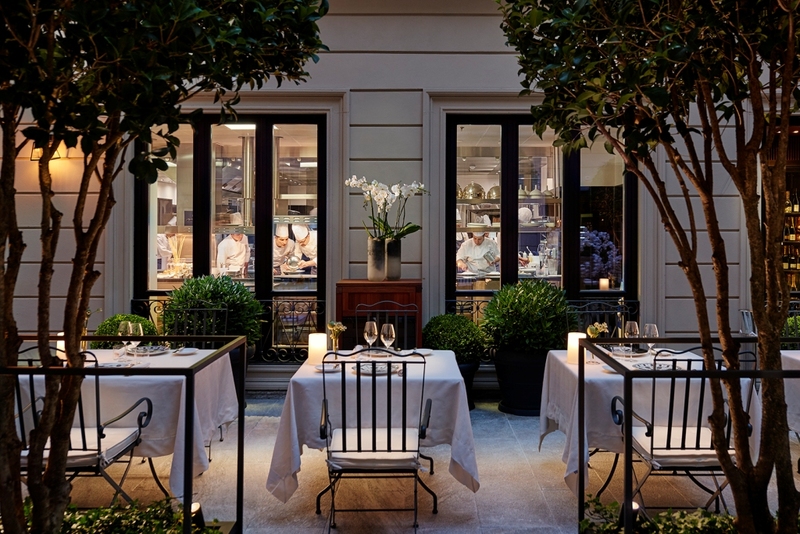 Drinks are served this way every evening with appetiser selections changing daily. 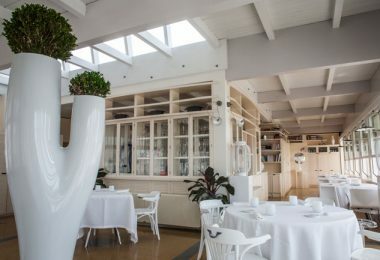 After dinner, Italy’s finest variety of carefully selected grappa and amari, together with the cocktail menu, are offered until 2am. 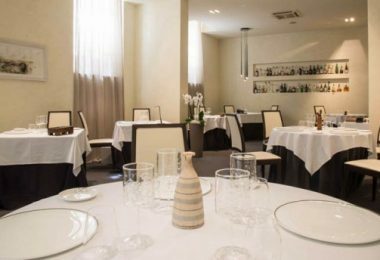 Awarded with one Michelin star in 2015, only four months after opening, followed by a second Michelin-Star in November 2016, Seta Restaurant is accessible from Mandarin Bar & Bistrot and with its own entrance at via Monte di Pietà 18 and it accommodates 50 guests. 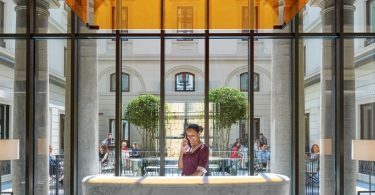 Located in the hotel’s second courtyard it extends indoors on three of its four sides. Wide glass windows help inner and outer spaces merge into one harmonized whole. 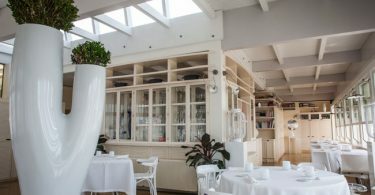 Visible through these large windows is the kitchen, so guests can watch chefs at work, while they can monitor the dining area. 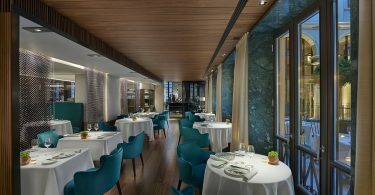 The restaurant’s two indoor areas enhance the hotel’s residential feel, because they have wooden floors and ceilings and carefully crafted upholstered chairs, whose subtle green colouring matches the marble tones of the doors. 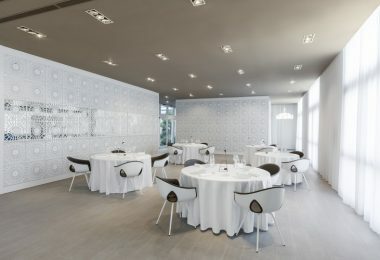 The restaurant features several areas ideal for more intimate dinners, including a private room next to reception, which seats up to eight guests. 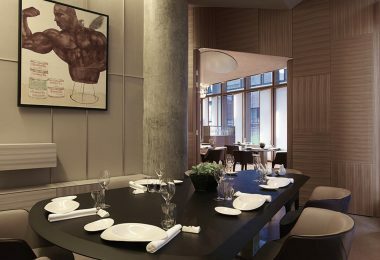 Looking out on to the street and with refined oak boiseries, private parties and board meetings can be arranged here, with customised menus specifically created by the chef. 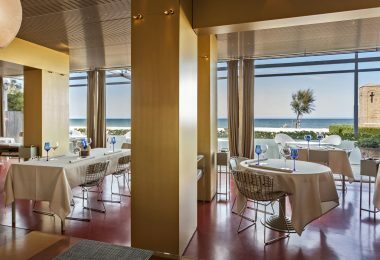 Antonio Guida’s culinary offering for this gourmet restaurant represents the quintessential core of his gastronomic philosophy at its best. 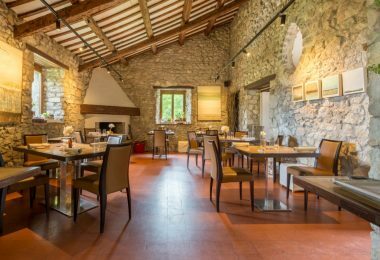 With deep roots in southern Italy’s Puglia region the chef combines his experience of cooking styles from there with influences picked up from extensive stays in Tuscany and France. 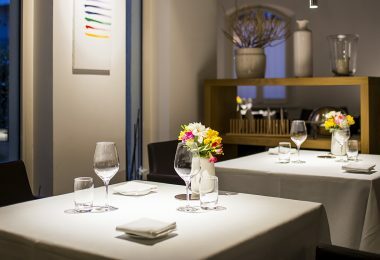 Seta’s menu is the compendium of his knowledge and expertise and features dishes prepared with refined techniques that enhance the superb quality of the ingredients. 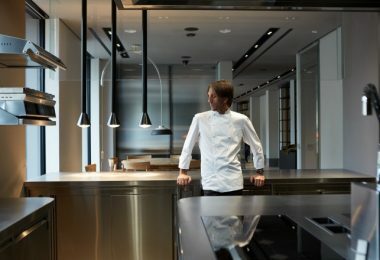 He achieves this culinary balancing act by highlighting the original flavours of each element in the dish, and combining them in individual and creative ways. 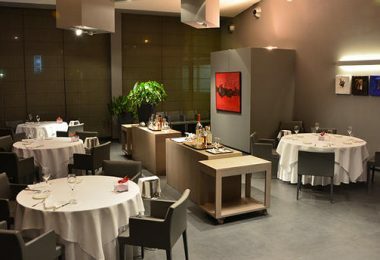 Each dining experience at Seta restaurant is a voyage of discovery that “calls” at five or seven selected stops when ordering the tasting menus. 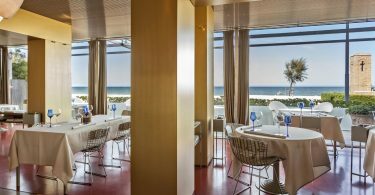 Each gastronomic experience concludes with Chef Nicola Di Lena’s pastry menu, which includes exotic, delicious-tasting desserts made according to the restaurant’s culinary philosophy of highlighting individual flavours and then combining them. 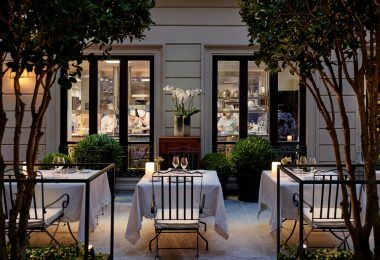 The wine list, conceived by food and beverage manager Alberto Tasinato, and sommelier Ilario Perrot, includes more than 800 labels, with emphasis placed on Italian wines and champagnes from historic and niche producers. Thorough and on-going research goes into compiling the wine list, with one eye kept firmly on the menu. 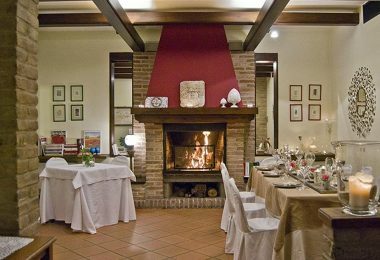 For example, Pinot Noir perfectly matches Guida’s cuisine, so several versions of this wine are offered, including those from Israel, California and South Africa.